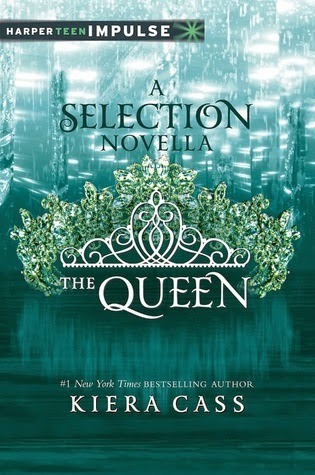 First up we have A Selection Novella called The Queen by Kiera Cass. It follows the theme of the series covers which I like. 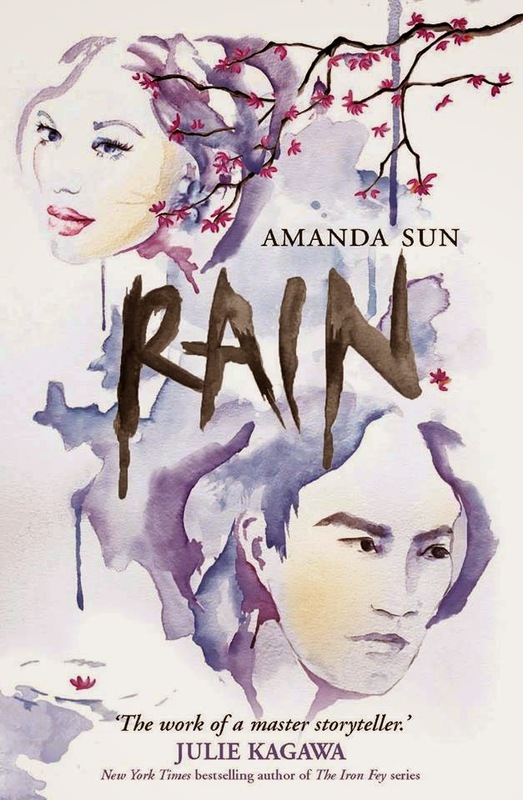 Next we have Rain by Amanda Sun, this is book 2 of Paper Gods. Again this cover is following on from the previous book, I think all series should do this! I really like the pastel colouring, easy on the eye. Now I don't know if this cover is a reveal, but I only just found this one. 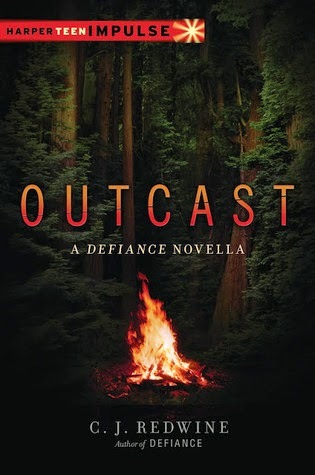 Outcast by C. J. Redwine is a Defiance Novella for the Courier's Daughter series. Gone is the girl with the red hair, but you still get the greenery with some red, since there is fire instead. So there they are. This weeks reveals, now with links to Goodreads.com incase you wanted to know more than just what the cover looks like and my thoughts. And now I want to know your thoughts! If there's one thing the Selection series does right - it's definitely the covers! So pretty. They remind me of cupcakes... which is probably a little odd. I've not see the Rain cover before and I like it except for one thing. Julie Kagawa is the same size as Amanda Sun. Just not right! But for a marketing type thing I can see why they did it. Those are all great covers....I think cover designing woudl be such an interesting job to have!